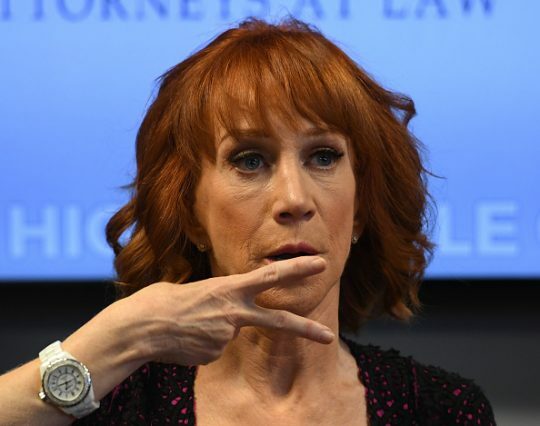 Comedienne Kathy Griffin on Tuesday deleted a tweet that misinterpreted Covington Catholic basketball players' hand signs and accused students of signaling support for Nazism. 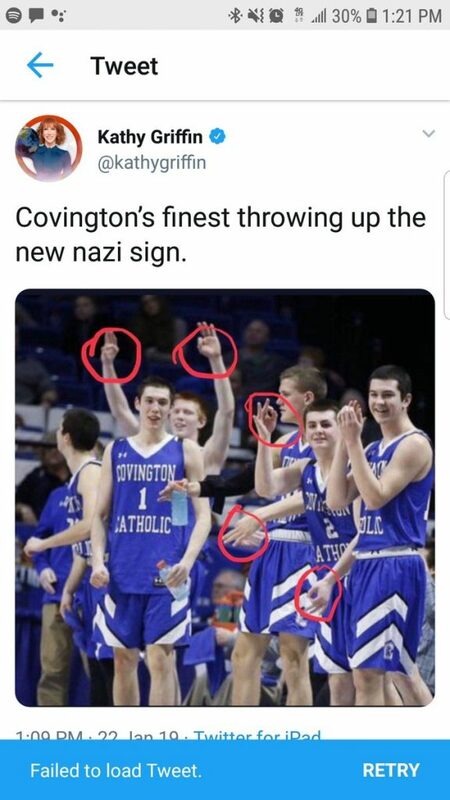 "Covington's finest throwing up the new Nazi sign," she tweeted with an image of the basketball players making an "OK sign." Griffin is correct that the "OK sign" is often used by the alt-right and white supremacists. 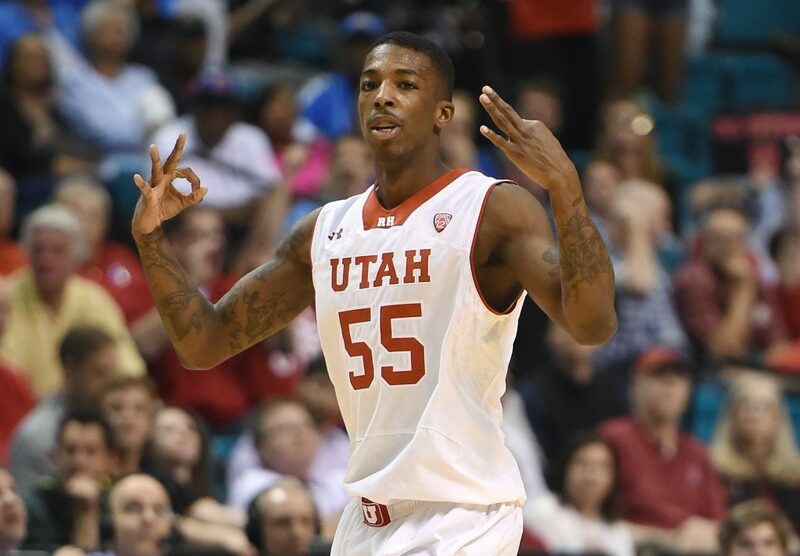 However, it is also a common hand gesture in basketball to signal that someone made a three-point shot. Many players of all races make the same gesture. Griffin's claim came after an aide to then-Supreme Court nominee Brett Kavanaugh was accused by social media users of signaling support for Nazism by making the same hand gesture during a televised hearing. In fact, the woman was signing "OK" to someone off-camera. The Covington Catholic students were also criticized for an out-of-context photo showing students painted in all black during a basketball game. The New York Daily News reported that the students were "in black face, a mockery of the opposing players." But Snopes, a fact-checking website, found that the black painted faces were part of the school's traditional black-out game and not racially motivated. This entry was posted in Politics and tagged Basketball, Kathy Griffin. Bookmark the permalink.